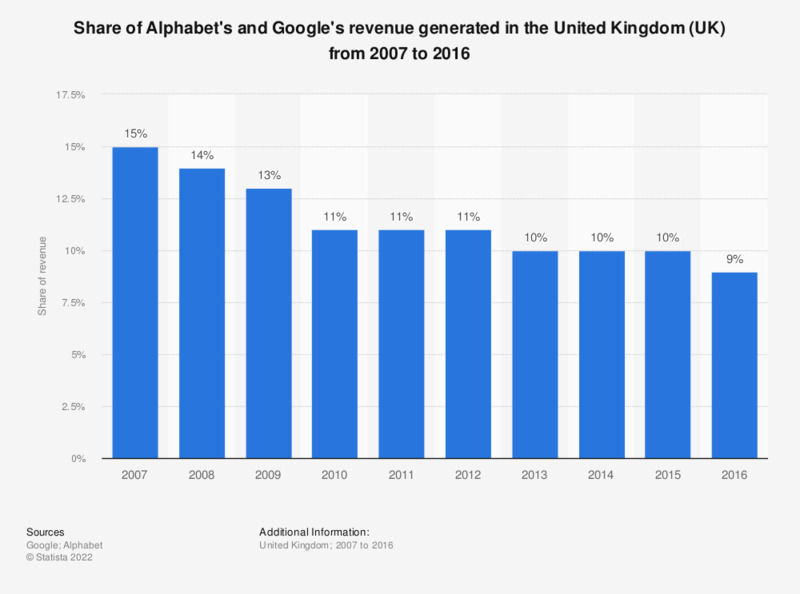 This statistic depicts the share Alphabet's and Google's revenue from 2007 to 2016 generated in the United Kingdom(UK). In 2015, the UK accounted for 10 percent of revenue. Revenue generated in the United Kingdom accounted for 15 percent of the internet company's revenue in 2007. As of 2012 including Motorola Mobile business. Determined based on the billing addresses of customers for Google business. Everything On "Google in the United Kingdom (UK)" in One Document: Edited and Divided into Handy Chapters. Including Detailed References.